10 Anime like Naruto - Happy Birthday Naruto! Don’t hate on something which you do not understand at all. Naruto is one of the best Anime that ever existed in the world. The evolution of his character from an orphan to Hokage has reminded me why I love this show. A lot. When we talk about technicalities and art, Naruto is one of not even among the top 10 or even top 100 anime; but the story telling of it made me compelled to watch it. Naruto, as an Anime has started way back in 2002. It has been an emotional journey ever since. There are several teens who started watching other anime just because they are new and cool. Naruto has a very different art when compared to rest of the anime. It has a story which is told in a unique perspective that no matter how hard hearted person you’re, you couldn’t help but be empathetic with it. Naruto has a lot of teachings that American cartoons could not match. They are heartfelt, exuberant and entirely ethical. Naruto is a troublemaker kid but that’s because he is an orphan without anyone to take care of. He has been treated like scum in the society without his fault and a lot of blame has been forced on him, without any reason. What made the anime, so great? His characterization. So, on this occasion of his birthday (October 10th), let us dive into this anime and learn what it has taught us. When you watch Naruto, watching him struggle in order to make terms with people ignoring him and absence of his family is so inspiring. One of the very brilliant things about Naruto is that he’s simple-minded, on the surface and extremely outspoken. Like all the youth series, we are shown the demographics of various teens who have different character traits. When your eye first meets Naruto, you will fall in love with this innocent Yellow spiked boy and when you see him sit on the cradle and below, you will not help but shed tears. As an orphan and with a Nine-tailed beast inside him, Naruto has been considered as an outcast by the entire society in which he’s living. According to Kishimoto, the original character is all about finding a character which belongs to everyone and how the character should yearn for affection through acknowledgment. While Naruto deals with the young years of him, Shippuden reflects the growing age of the audience and how they have turned into young adults, mature in content as well as tone. Naruto stresses the importance of family, friends, and others with a lot of characters like Akatsuki, Sasuke, Tobi, Madara and finally, the Mother. The character of Naruto and his development begins with the parental love from Iruka. Iruka is one person who has been there for Naruto, even in his worst times. Despite disappearing in the Shippuden series, he holds the best place in the audience hearts. The part where he comforts Naruto after the death of Jiraiya is one of the beautiful moments in the show. Iruka keeps aging from one interaction to another as Naruto grows as a person. Seeing their relationship evolve from a middle-aged man taking care of a brat to seeking admiration from one another displays the best father and son bond I have ever seen. In this way, the last episode of Naruto Shippuden, “The Message,” that aired last month, not only poignantly transitioned Naruto’s journey into an adult but reminded me of why I love the series. The hour-long episode follows Naruto’s and Hinata’s wedding as their friends struggle to find a gift for the pair. Fittingly, the episode is an homage to the fifteen-year-long success of the series, its characters and the development of Naruto as a character. But the most powerful scene was with Naruto and Iruka. It’s a short but emotional scene where Naruto asks Iruka to be his father at his wedding, a moment that perfectly symbolizes their relationship. Throughout the series, Iruka is the closest person to a father Naruto’s ever known. After watching it for a few years, I have stopped watching Naruto Shippuden began. Scratch that, I started watching it again for three years and I have been religiously watching it and I have become low-key obsessed with it. The Shippuden has introduced us to many characters that not only made us roll eyes but shook our heads at the point. Here’s the thing, Naruto is not just a dumb show but an anime which makes it fantastic to even watch. Naruto has many heartful moments that helped me grow as a person while I started being considerate about it. I have a very weird relationship with this Anime. After watching shows like Full Metal, Alchemist, The Boondocks, Naruto is one of the most welcoming shows that I even started watching One Piece after it. What makes Naruto, great? If you ask. It’s him never giving up attitude that is truly fantastic. Over a decade after coming to Northern America first, Naruto remains as the popular Manga. Masashi Kishimoto has created a sensation as he appeared in the New York Comic Con and said that he’s glad to create a show like this. In his panel at NYCC, Kishimoto mentioned growing up during “golden age” of the classic manga magazine Shonen Jump, when it was running series like Akira Toriyama’s Dragon Ball and Masami Kurumada’s Saint Seiya (a.k.a. Knights of the Zodiac). Naruto begins with the basic shonen manga template of a boy with something to prove, but Kishimoto uses that as the starting point for the story of a very special hero living in a complicated, often hostile world. The first time we see Naruto, he is a troublemaker who is defacing the massive heads of the historical leads in the village that are carved on the mountain. He has an incredible monster hidden inside him and it gives him an awesome power which he doesn’t realize. As a person, he has an irreverent attitude which holds him back from the ninja school. Because of the incident that happened during his birth, he is shunned by everyone in the village which makes him determined of attaining the title of Hokage and be the greatest ninja in the village. As he finishes his training, Naruto gets paired with Sasuke and Sakura, who makes the team 7. Team 7 is led by Kakashi and here begins the Adventure. What makes Naruto interesting is that it is all about the Ninja world rather than the daily world with some absurd physical skills and superpowers. All the Ninja techniques are deployed in a surprising way and you won’t feel disappointed when you see the fights being an integral part of the story while allowing Kishimoto to throw twists in the story. When Kishi was asked by some interviewer about what made Naruto special, he said that Naruto is not heroic like other characters. He is not special or different. He said that Naruto is just a reflection of himself and he did not consider himself as special. Even when Naruto has a lot of power invested in him, he is not a distant hero. You will know what he thinks and the fact that he’s just so simple-minded and goofy makes you love him even more. After watching it for a couple of days, initially; I thought that Naruto has occupied my head completely. I have realized that I have been constantly thinking about it even when I’m not watching. Whenever I’m so low, I would ask what would Naruto do if he were this low. I have gotten to a point where I would catch myself thinking if Naruto will pass the Chunin exams. That’s when I realized this show is something more than just how it is! Throughout my life, I have never felt more relatable to a character as much as I did to Naruto. For those who don’t have an idea about what Naruto actually is, you should all be able to know it and watch the show. I bet you won’t regret it by all means. Naruto is probably one of the anime that has a huge list of characters. Kishi succeeded in fleshing out all the characters and get them to the audience with amusing backstories. Almost every character in the show has a backstory which makes them empathetic to you. There is nothing you would love more rather than have characters like Shikamaru who worry for the sake of Naruto. Then, you have Hinata and Konahamaru who have loved Naruto from the first moment that they have met him. I can’t even count the number of times that I have actually teared up for the characters while watching it. Not only me, but all the other fans would concur to this. The best part about Naruto is that you will even love the villains. Be it, Tobi or Madara, you can relate to their speeches and you can relate to their content. Kishi has successfully made me hate, be angry with the antagonists with an ease while making me feel for them towards the end. This is another interesting thing that I loved in Naruto because none of them are cheesy or completely black or white. People of all the ages would love Naruto because of his goofiness, feel sad during the tragic moments, get misty-eyed when any of the characters die and take hiatus while recovering from the show. As much as it sounds crazy, you will not know it until you experience it. Asuma’s death, Jiraiya’s death, Itachi’s childhood, the first time Naruto met his mother are few favorite moments of mine which I keep watching again and again and again. The storyline of Naruto is actually simple and straightforward. It is linear with subplots intertwining with the main storyline. The plots flesh us all the characters and like many episodes, it does have fillers but they will only make you laugh. At times, they become frustrating to watch especially when you’re hooked on the storyline. Other than the fillers, I enjoy seeing Naruto’s plot as it is easy to follow. It becomes a bit complicated and complex. “Believe it!” – Naruto Uzumaki. Having an inspiring character which speaks to you is pretty impressive. Most of the people won’t be a fan of Naruto as soon as you watch him. In the first couple of episodes, you might even find him a bit irritating than you think he would be. He was irksome, bratty and soon after understanding his story you will know why he is acting that way. As episodes pass one by one, you will even start rooting for him and relating to him. Naruto is extremely well written and the development that his character faced will make you put a finger on your nose. Imagine being orphaned with absolutely no idea who your parents are. Naruto acts in a ludicrous way in order to make people give attention to him. He is not the brightest kid, in fact, the dumbest kid that you will ever witness. He is stubborn, headstrong and is not great at a single thing except the Pervy Jutsu (Hehe). It is only with his determination and extremely hard work he ends up being one of the strongest ninjas in the world by gaining appreciation and recognition in the village. Naruto has got some epic soundtracks and lyrics that you will witness for an anime. There’s around 2-hour playlist that can be playing as you remind yourself of all the title songs that you see in this show. If you have never considered listening to J-Pop, I guess you should. This music is exemplary and the visuals of both the opening and end credits will make you nostalgic. Also, few of the lyrics especially ‘We are fighting dreamer’s will uplift you whenever you are low making you realize that you should not give up. As mentioned earlier, Naruto depicts the journey of an orphan as he gets immense respect and recognition from the villagers and becomes the next Hokage. In order to do that, he plans to become the strongest ninja despite the history. Nothing gets easy for the hero but he never gives up and constantly trains himself to be the best. Apart from that, he also has to find a balance with the demon fox that is living inside him. As the show came to end, Naruto has been a story of a monster and a kid who has managed to live together despite the odds. The will and determination of Naruto as he faces adversities are why we love it. The original series has around 220 episodes and the Shippuden Sequel has around 400+ episodes. While you can stream it on any one of the streaming platforms, there is a bunch of anime that you can find on Amazon Prime, Netflix or Hulu. Years and Years ago, Gold Roger; the Pirate King has disappeared by leaving his treasure known as ‘One Piece’ behind. 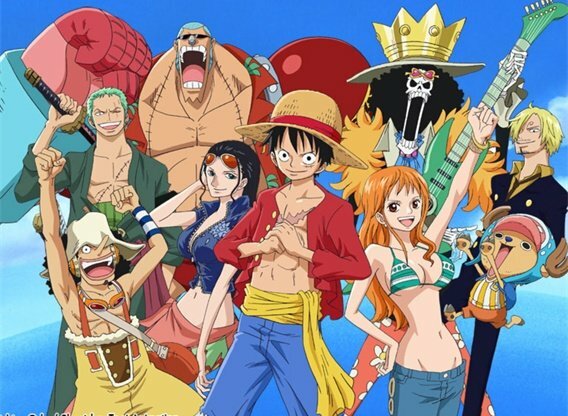 The pirate who claims this ‘One Piece’ will be known as the new Pirate King. All the pirates start searching for it by forming different crews. Monkey D. Luffy is one among them, who is just a boy who wants to be the Pirate King. After consuming the Devil Fruit, he gets in danger only to be saved by his idol, Shanks. He promises Shanks that he will be the Pirate King. Setting on the journey, he forms his crew by making people his Nakama. In a world full of skilled thieves and pirates who ate different kinds of Devil Fruits; this anime is filled with a lot of drama. The reason why you should watch One Piece is that it takes you on the journey of life, family, friends and loved ones. It indeed is a personal recommendation. If you are a fan of a formulaic action show, One Piece can be a bit of turn off given the fluff in the show. There is a lot of bizarre stuff that keeps happening for one. It is not done in the traditional anime culture like Naruto and is unique in its way. Oda has succeeded to keep fresh with the all the elements and characters. 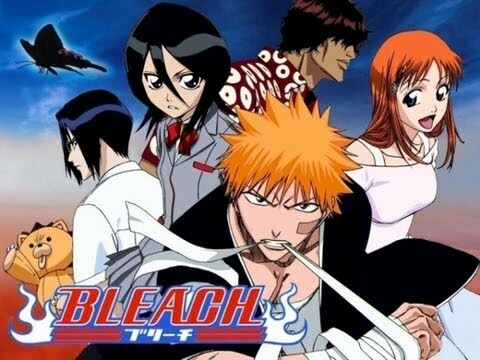 Bleach is one of the most interesting shows with a compelling storyline. If you are a fan of Death Note, you will for sure love Bleach for what it has. Ichigo Kurosaki plays the role of a Soul Reaper who protects the souls or who puts them to rest when needed. While leading a boring life, Ichigo gets confronted with this unique ability to be a soul reaper. He is responsible for fighting the spirits while guiding the souls to the afterlife. The show gets a little boring after the start, but it is watchable because of the characters and the twists that it brings in between. Bleach has a total of 366 episodes and all of them are filled with the best animation ever. If you have asked a few anime watchers (Otakus), what their favorite movie is, at least 4 out of 10 will tell you that its Fullmetal Alchemist. Two brothers, Alphonse and Edward Elric are hell-bent on bringing their mom back from the dead through the Human Transmutation proses. During this process, Alphonse loses his body and Edward loses his arms because of the malfunctioning of the proses. Edward along with his brother sets on a new adventure to get the philosopher’s stone (Yes, our own Harry Potter’s stone) which has the ability to fix all the mistakes. Fullmetal Alchemist is an entertaining and imparting show which will take you to new worlds. A really old anime, very few people have heard of it without having knowledge about the exceptional storyline it has. Seiya is an Orphan boy who moves to the Sanctuary in order to earn the Bronze Cloth, worn by Athena’s protector during the reincarnation period. While the head of these protectors is strong, all of them are called as ‘Saints’. The show is influenced by the history and culture of Greek Mythology with breathtaking action. The matches are games but soon they turn into fights and latter to battles of war and death. 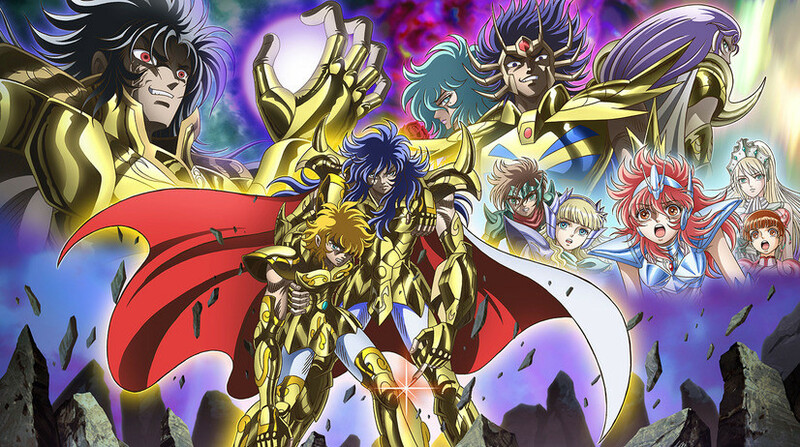 The original Saint Seiya series has been aired in 80’s and it has a total of 114 episodes, altogether. Japanese Anime is somehow obsessed with the idea of souls for some reason. Soul Eater is a show which follows the story of the Academy. This Academy, just like Hogwarts is known as Death Weapon Meister Academy where all the students who are graduated from it are known as Meisters. After graduating, the Meister is aspired to form a Death Scythe, which will be created by collecting a total of a hundred souls (Out of which 99 are evil and one is of a witch). Soul Eater is a stylish anime which leaves you on the edge. It just has 51 episodes altogether and is available on Netflix. ‘Dragon Ball Z’ is picked up after five years when Dragon Ball ended. The anime teaches us about the past and as well as the purpose of the earth. Goku, as our hero is set to defend the earth against the extraterrestrial villains. If the anime world is a Superhero comic, Goku is nothing but Superman of the series. 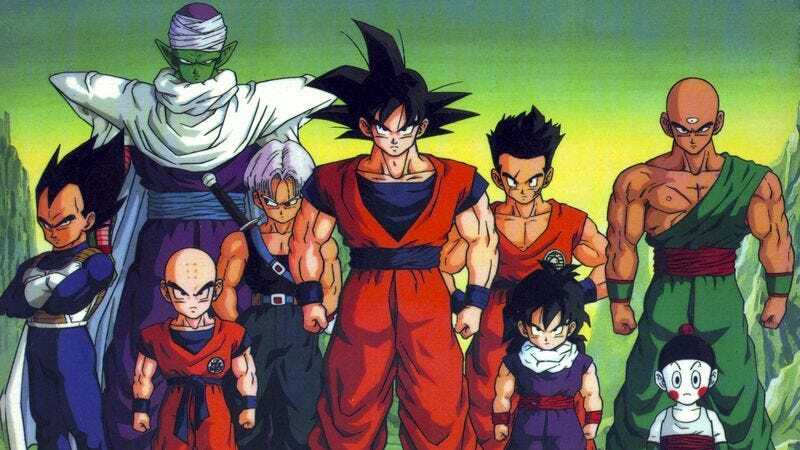 Dragon Ball Z has managed to become incredibly popular because of the storyline. According to Kishimoto, it is one of the main inspiration behind creating Naruto. The movie has terrific action, brilliant characterization and strong animation which together form the action scenes very effective. People claim Dragon Ball Z to be effective, but it is just good not that so good as to be called as the greatest anime that has ever been made. Fairy Tail is a magical set, filled with the land of Fiore where magic is an important part of life. Guilds act like the centers in this movie for all the magical activities that are going around. Lucy Hearfilia who is a young maze is determinant on becoming the wizard in order to join the world famous Guild. 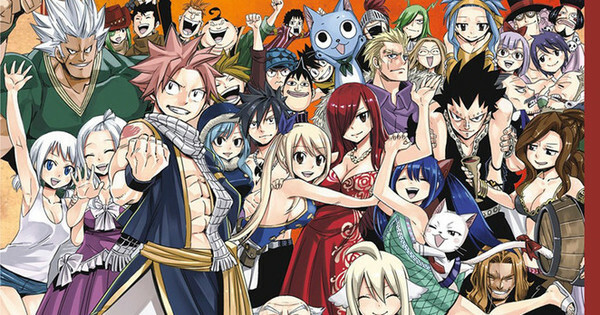 Fairytail has around 175 episodes in total and all of them will make you think that it is the worth the time that you have spent watching it. 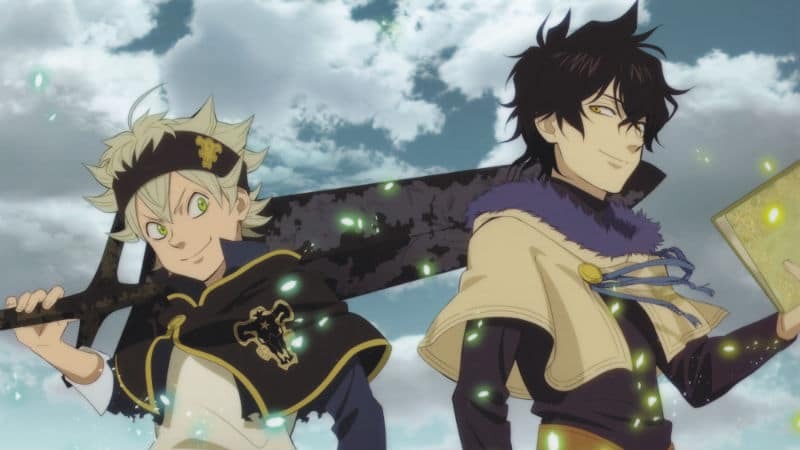 A Magical Fantasy Anime as it is, Black Cover deals with lives of two young boys, Asta and Yuno. As brothers and friends, both of them are inseparable from birth despite being two different individuals. In this world where Magical Powers rule the world, Yuno is born with extraordinary powers while Asta doesn’t have them and therefore has to work physically in order to make things work. The series is available on Hulu with a total of 38 episodes, altogether. As the word Katana is included in the title, this anime is all about sword fighting. Katanagatari has a world full of swords where Shichika Yasuri learns Kyoyoutyuu one of the most unique styles in which a sword along with the body of the master can be used as a sword. When Togame requests the help of Shichika in order to collect all the 12 swords known as the Davidant Blades, Shichika accepts the offer and sets on an adventure that never stopped. Katanagatari is one of the highest rated anime and has amazing visuals that are spread across all of the episodes. 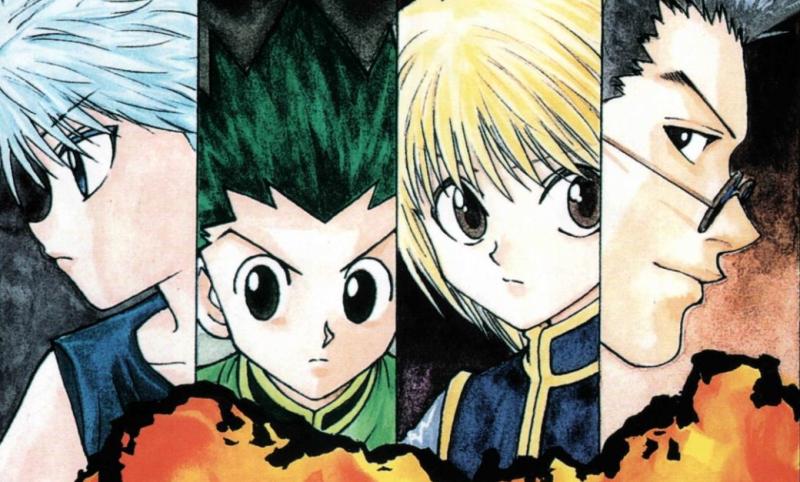 This anime tells you the story of a boy named Gon Freecss. The earlier part of his life is believed to have dead parents but later he gets to know that his father is actually alive. On top of that, he also comes to know that his father is a renowned hunter. Aspired by that he decides to take an examination by the Hunter Association, to become a hunter just like the father. Naruto has similarities with Gon, because both of them have willful determination against adversities and obstacles. The series has 62 episodes and is rated as one of the highest rated anime.